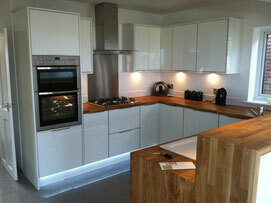 "Brighton and Hove Kitchens were very good and I was very happy with the service I received from them. Their price was highly competitive and Jem came in at the best price compared to B&Q, Howdens and the companies I had previously visited. 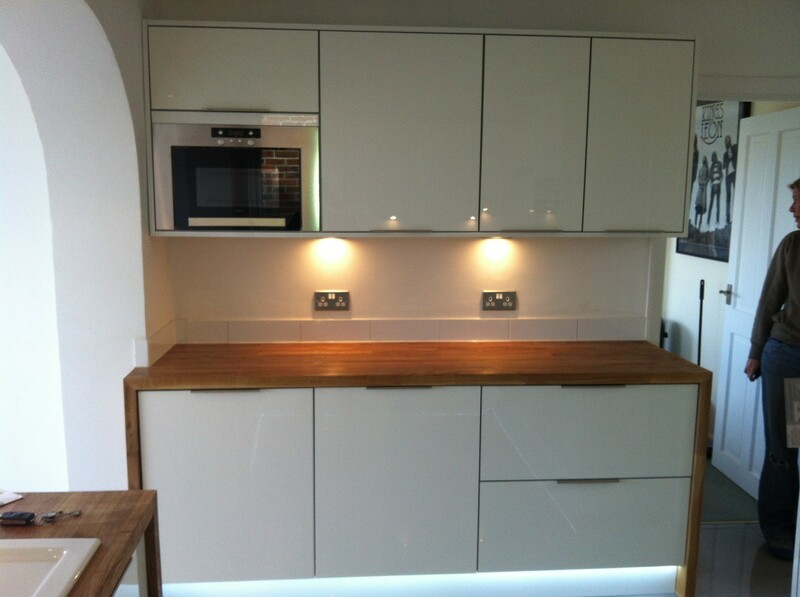 Brighton and Hove Kitchens is a small, independent company but still managed to more than match the price of the Big Guys. I would definitely recommend Brighton and Hove Kitchens to anyone looking for their new kitchen"
Matt and his family had relocated to Saltdean and wanted to put their mark on their semi-detached home. Their main requirement was for a kitchen that had a design impact whilst remaining a child-friendly space. Matt had obtained quotes from B&Q, Howdens and a couple of other well-known companies. After speaking to his neighbour he decided to give us a call and was very happy that he did! 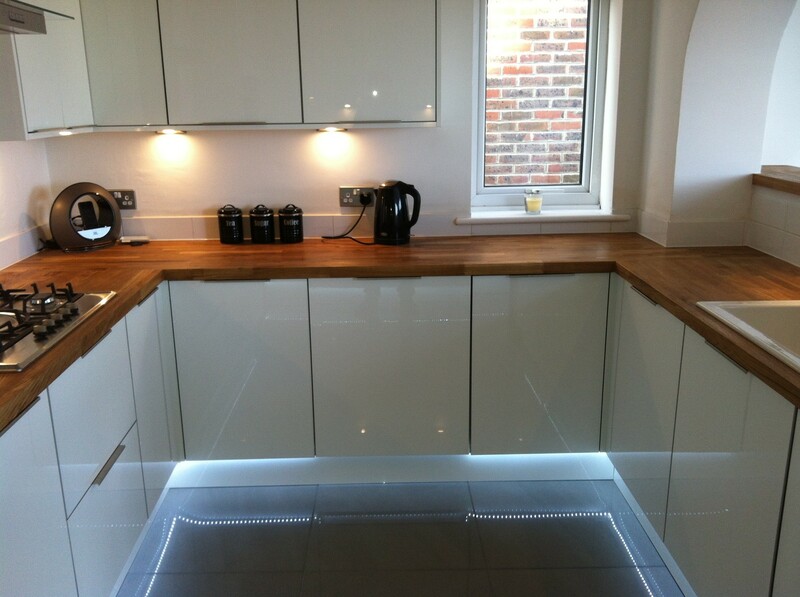 For less than the quotes he had obtained from the high-street companies, Brighton & Hove Kitchens created the kitchen Matt and his partner had wanted. Using our CAD design system we planned a clever kitchen layout to make the most of the available space. With a growing family, storage space was vital so we used a combination of wall- and clever drawer-units to create as much storage as possible. 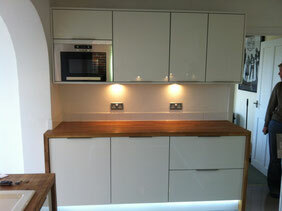 Worktop space was also essential for this busy family. 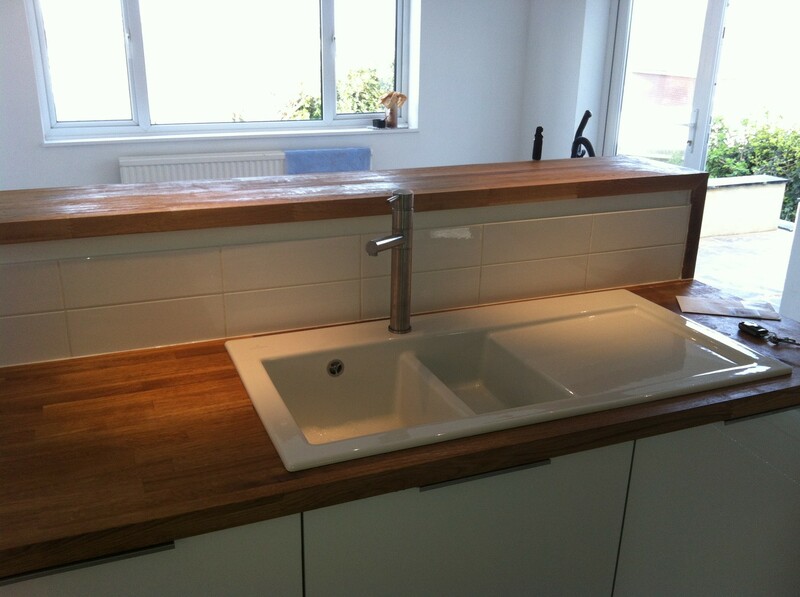 Knowing that practicality as well as fashion was needed, we made design suggestions that maximised the worktop space available. For less than the high-street quotes Matt had obtained, we installed a high quality gloss kitchen with soft-close units and Neff appliances. 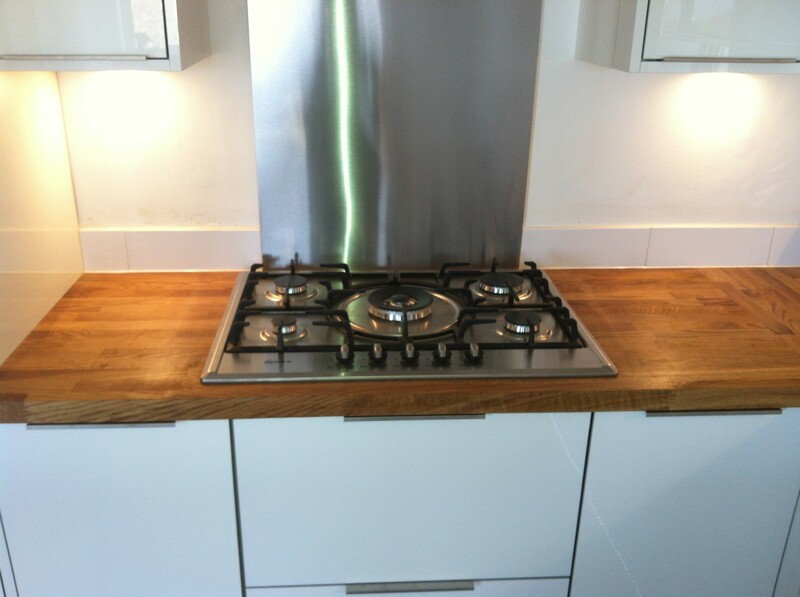 The solid wood worktop even had a slab-end to the island unit, truly giving this family kitchen a top-quality finish.